The family moved to Huseby in Vestre Aker in 1909, at the edge of Bråten in the district of Jeløya outside Moss. 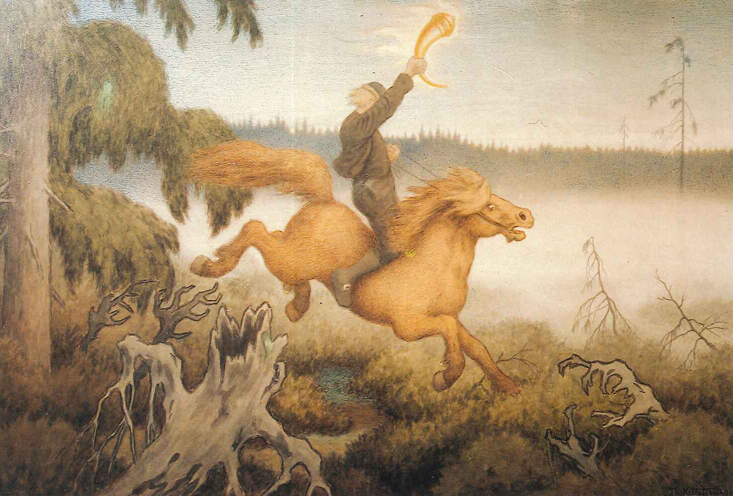 In 1911, Kittelsen was granted a National Artists’ stipend and in the same year, his autobiography, “Folk og Trold” was published. He followed this in 1912, with “Løgn og forbandet digt”. Theodor Kittelsen died on 21 January 1914, leaving a widow and nine children.